One of the questions I hear a lot is: After we deal with the Legion, what threat could possibly be next? It’s a question I’ve asked myself a few times. There are some obvious answers, of course, but one of the trends I’m seeing in Legion is that we’re being our usual short sighted selves and setting up some menaces that we may not be expecting. This time out, I’m going to speculate on a few and expound on exactly why they may make a move in the future. Some of these forces may seem like our allies now. That’s because the Legion is a threat to the entire cosmos, including them. But once the Legion has been dealt with? We’ll see. 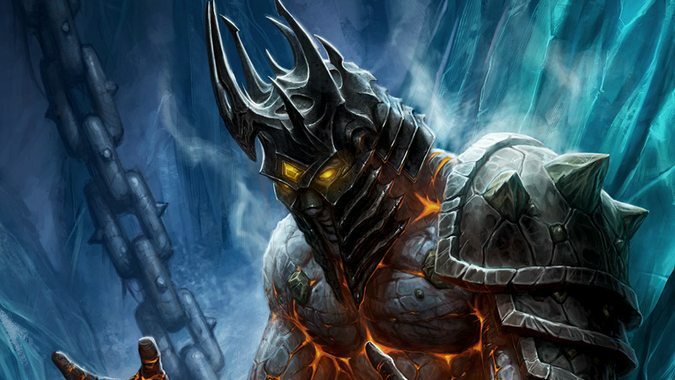 Right now, you may be saying “But Bolvar is the Lich King now! The Scourge has been helping us against the Legion!” And that’s exactly the problem. The Lich King has proven himself an extremely resourceful foe to the Burning Legion as they’ve attacked Azeroth. He made an alliance with the Ebon Blade, the rebel Death Knights who turned on Arthas Menethil, and recruited one of their number to serve as his Deathlord, his hand of vengeance against Kil’jaeden and the Burning Legion for their role in creating the thing he’s forever trapped inside. Then, as the war against the Legion progressed, the Lich King tightened his grip on the Scourge by creating a new Four Horsemen and the former head of the Ebon Blade, Darion Mograine, is now the head of those Four Horsemen. He works directly for the Deathlord… but the power that brought him back from death is the Lich King’s, and it’s heavily implied that the Horsemen’s wills are no longer wholly their own. In one stroke the Lich King gained Nazgrim, Thoras Trollbane, Sally Whitemane and Darion as terrifyingly powerful servants to lord over his resurgent Scourge and he did it right in front of everyone because we’re too busy fighting the Legion to really think about it. And the best part is, if you play a Death Knight, you made it happen. You gathered his Four Horsemen. You attacked Light’s Hope Chapel and penetrated deep into the Paladin Class Order Hall beneath it, provoking the Light to destroy you… and thus Mograine’s sacrifice which allowed the Lich King to raise him as a potential tool. Good job. Thanks to you, the Scourge comes out of the Legion invasion stronger, more focused, more cohesive and more ready than ever to do whatever the Lich King wills. The only question left to answer is, what does the Lich King want? Aside from the defeat of the Legion, what’s the long game here? There are four Elemental Lords once again. After the Cataclysm, both Al’Akir and Ragnaros were slain and Neptulon was imprisoned. While Neptulon would free himself before the coming of the Legion, both Skywall and the Firelands were in chaos. Now, thanks to the efforts of (say it again) a mortal, there are once again four Elemental Lords, and for the first time since the arrival of the Old Gods on Azeroth, those four Elemental Lords stand united, having worked together (however imperfectly) to help defeat the Legion. But we know that Thunderaan, the new Lord of Air, harbors little love for mortals. After all, after Ragnaros struck him down and captured his essence in the Bindings of the Windseeker, mortals freed the then-Prince of Air only to slay him and steal his sword for themselves. And as soon as he was reconstituted and became Al’Akir’s replacement, a mortal threatened/extorted him with a similar set of bindings. And we know nothing about Smolderon. We know he was more likely to work with mortals than Pyroth, Rhyolith’s son. That’s only a ringing endorsement when you have an army of demons invading. If the Legion is successfully defeated, what keeps the Elemental Lords from destructive infighting on our world? Worse, what if they united against us? After all, Therazane hates mortals for killing her daughter, Thunderaan lost himself and his father to us, and Smolderon is a fire elemental lord, and we’ve seen how those guys get. Neptulon is the only one who seems halfway to even tolerating us. 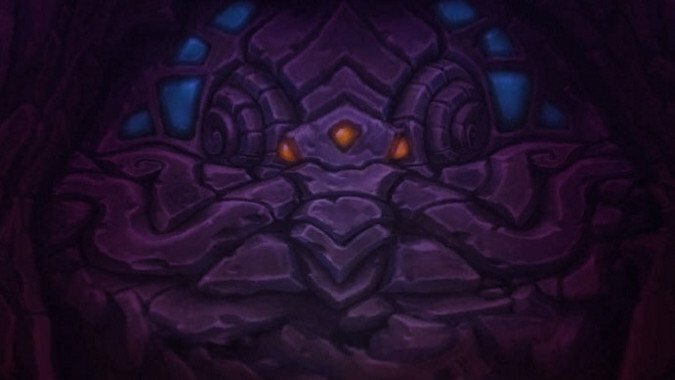 These guys are the most likely to be the next expansion threat, in my opinion. We’ve seen lots of buildup in the Emerald Dream raid with Il’gynoth and his whispers hinting at things, and if you’re playing a Shadow Priest, your Artifact is constantly whispering dark secrets to you about all sorts of things. 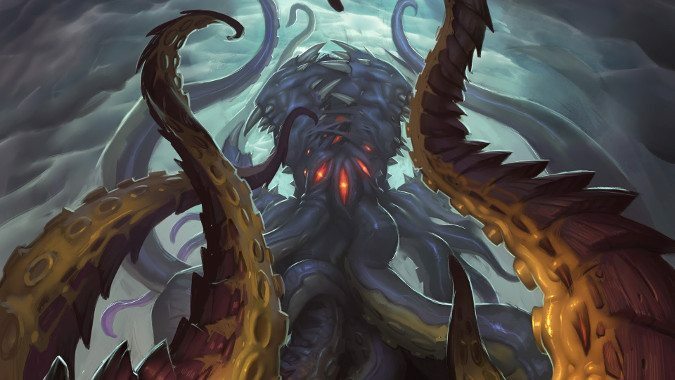 One of its whispers states that we should hurry to defeat the fallen Titan, for greater battles await against the slowly awakening God of the Deep, a reference to N’Zoth. I don’t feel like this one needs a lot of explaining. The Old Gods are ravenous to devour the World Soul and birth a Void Titan that would help usher in the destruction of the Universe for the Void Lords, and the Legion has helped them by wiping out much of the cosmos that would have opposed it. They’re a huge threat and they don’t fear the Legion at all. They’ll be up sooner rather than later, I feel. Once the Legion is dealt with, we’re not likely to stay unified and fight against these common threats. 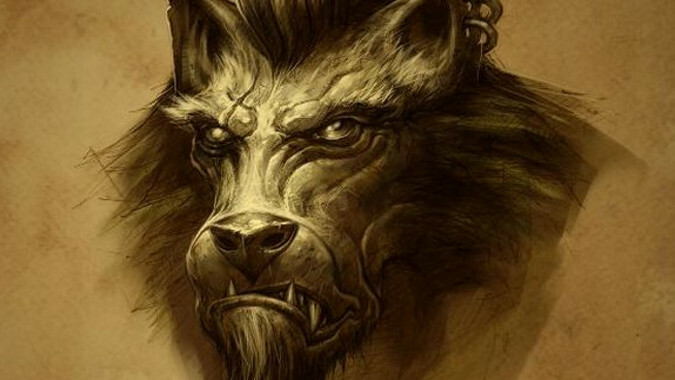 One of the things the mortal races of Azeroth are great at is ignoring that they just won a temporary victory at best and should remain vigilant. After all, it’s only been 12 years since the Battle of Mount Hyjal and we spent that decade doing anything but allying and creating common ground between the peoples of Azeroth to prepare for the Legion’s return, much less to oppose all the other threats that assailed that beleaguered planet. And I see no reason to believe that we’ll manage to do so now. No, once the Legion is dealt with, however temporarily, we’ll almost immediately go after each other again. No matter what outside threats loom — no matter the Scourge waxing in power, the Elementals seething again, Twilight’s Hammer cultists and Old God minions out there, one thing the people of Azeroth excel at is killing one another. Look at the grudges each faction already have lined up! Genn and Sylvanas, Jaina against the whole Horde, Magatha Grimtotem out there somewhere (fresh from working with the Earthen Ring, even) — the Horde and Alliance have never been further apart. They couldn’t even directly unite while the Burning Legion was attacking their world. They had to leave it up to class orders. Sooner or later, they’ll start killing each other again, likely at the worst possible time. Of course, I left a lot out. Dragons could lash out at the mortal races for effectively ending them as a species. The Trolls could rise again under the Zandalari. 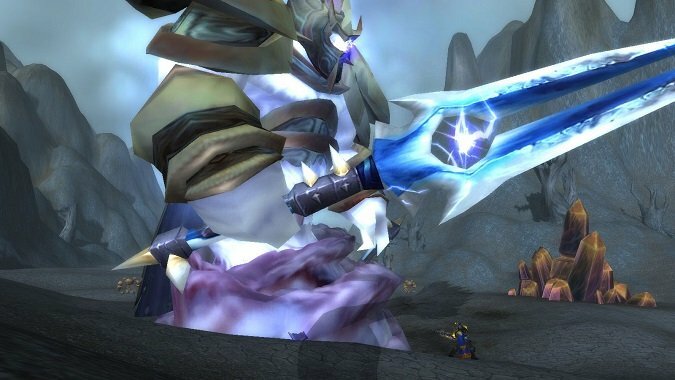 Odyn could unite the Titan-Forged and try and conquer Azeroth for its own good. What do you think? What menaces could be waiting for us?